The Palmers Green Kehilla fits into the classic pattern of the rise of Jewish suburbia. Meeting in the early days (circa 1926) in various houses under the guidance of Rev. A.L. Lewin, an unofficial Minister to the then outlying suburban communities, the congregation became affiliated to the United Synagogue in 1934. To meet the needs of the then growing community, the present Brownlow Road site was purchased, and a synagogue was built and consecrated by the Chief Rabbi Joseph Hertz on the 10th May 1936. The synagogue building was virtually destroyed in an air raid on the 13th December 1944, but plans were immediately put in hand to rebuild the synagogue and this was completed in 1947. Some years later further works were carried out to provide a communal hall and kitchen at first floor level and the rear ground floor section which had served as the communal hall, was converted into the present day ladies gallery. The setting up of Hebrew Classes was treated as a priority from the very early days, and by the time of the first synagogue consecration and with a membership of 147, 35 boys and 7 girls were enrolled. This number was to grow to a peak of over 300 by the 1960s. Serving the community has been a feature of the Kehilla. Apart from those who gave their lives in the second World War and the Yom Kippur War, various congregants have served as Mayor of the local principality, as Head Teachers of Jewish Schools, and Honourary Officers of the United Synagogue. Serving the Kehilla as minister have been Rabbi I Chait (a Chaplain in the Forces), Rabbi F.F. Carlbach, Rabbi J.S. Shaw and currently Rabbi E. Levy. Services over the years have been enhanced by Chazanim who include Rev Domowitz, Rev Binstock and for over twenty years by Rev Brian Segal. Likewise the community has been blessed with the dedication of several members who have acted as Warden, inclduing the present Life President, Mr Sidney Goldschneider. The synagogue has benefitted from the sterling work of both Mr A. Philips and also, until his recent retirement of Mr Martin Lewis who have held the post of synagogue Secretary/Administrator. In 1977, as part of its Golden Jubilee celebrations, the Kehilla initiated the Jewish Way of Life Exhibition, which, in its updated version has now visited communities throughout the country. Past distinguised worshippers have included Mrs Ruth Winston-Fox MBE, Lord Robert Winston, Dr Anthony Julius, Professor I Finkel, Rev A Greenblatt OBE and Mr Clive Lawton. 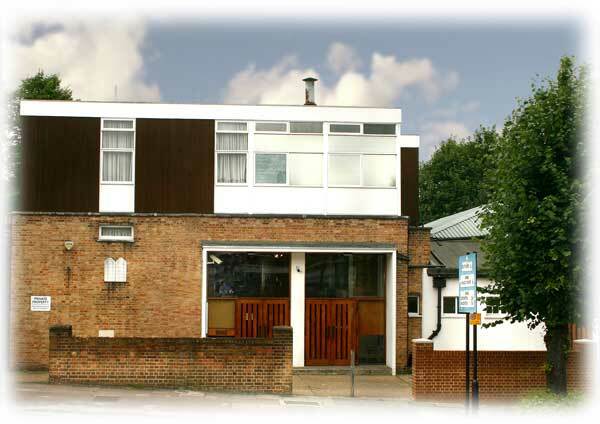 Noted for its warmth towards visitors and its pleasing atmosphere, the Palmers Green community, now 70 years on, strives to fulfil its role by continuing to provide daily, Shabbat and Festival services and a programme of activities for its members. The synagogue would like to thank Mr Alan Grant for providing this brief history of the Palmers Green Community.